The projection of consciousness has been an integral part of kabbalistic teachings, from the Merkavah (Chariot) Riders and their journeys to the starry Palaces (Hekelot) of the invisible world, to Traveling in Spirit Visions with the early adepts of The Hermetic Order of the Golden Dawn in the 19th can early 20th centuries. While a wide variety of approaches has been formulated to assist the disciples of these diverse schools, much of their techniques require an extensive amount of preparatory teachings and/or ritual assistance. 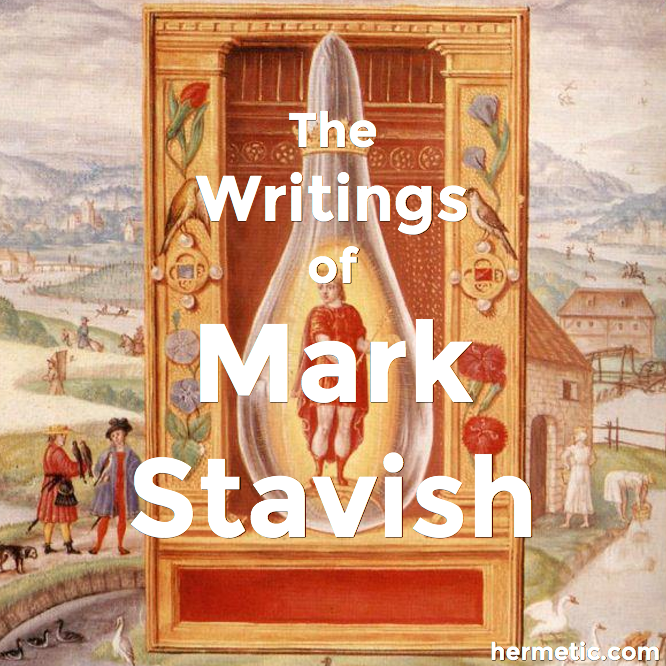 For those who have little or no knowledge of traditional 10-12th century Merkavah doctrines, or no interest in learning the necessary signs, symbols, and invocations for Golden Dawn style techniques and their ‘spin offs’, yet want a Hermetic approach to their inner world, there is a solution. It is also simple, direct, and does not require an extensive amount of visualization or creative imaging. The following experiment was carried out over a three month period, from December 1996 to February 1997. During that time, no additional ritual methods were performed, either for personal development, or in a group, in order to asses the value of the technique as it stood alone. The majority of the experiments occurred at night, before going to sleep, and about half the time, in the morning upon waking, while still in a borderline state. It is designed for those who would like to have an ‘out of body experience’ but lack either the necessary visualization skills required of so many of the present techniques, or who have had violent experiences leaving their body, and would like a more gentle approach to the astral planes. It can be carried out by either experienced ‘traveler’ or beginner with equal ease, and possibly, similar results. The theoretical background behind this experiment is strictly kabbalistic, and is applicable to either the traditional Tree of Life (Golden Dawn), the revised Tree of Life as applied to the Portae Lucis material,1) or the Palaces as outlined in the Sepher Zohar. In short, any systematic outline of the interior body-world of humanity can be applied, as long as it has concise, easy to visualize symbols for the various planes of consciousness. The working assumption is that we as conscious beings originate in the Ain Soph Aur, or Limitless Mind of God. We incarnate through various stages of increasing density and matter, into the present world, in order to gain the experiences that will allow us to go from ‘potential beings’ into Self Actualized, or Self Created Beings. In our journey of development we take on characteristics and ‘bodies’ of various vibrations, and on our ‘return’ we shed these bodies in exchange for increasingly subtle bodies and worlds of Light. These Worlds are categorized in the Gnostic, Kabbalistic, Hermetic, and Alchemical texts under different names and numbers, but share the same essential qualities and functions overall. That is, they go from the most dense world of material Earth, to the most subtle of Infinity, or the point of our origin, the Mind of the Creator. Within our physical body we have various organs of psychic perception, called psycho-spiritual centers in modern Western esoteric nomenclature, and chakras in Sanskrit. These centers correspond to several levels of our physiology, that is on one level, our nervous system and plexus, as well as our endocrine system of hormone secreting glands. Other correspondences exist as well, but for our purposes these are the ones used most commonly and efficiently. Astral projection is often suggested through the solar plexus, but for many this can be an unnerving and unsettling experience. Other suggestions are purely visual, such as rising out of your body like a mist, or as having a second ‘body of light’ present next to your physical one. It is said that advanced practitioners can project their consciousness at the time of their death through the upper centers, thus ‘dying consciously’. The centers suggested here are the top and front of the head, or the “Crown” and “Third Eye” centers, associated with the pineal and pituitary glands. Some even use the back of the head, the medulla oblongata, or brain stem. In the Indian texts, each chakra is associated with a particular power (siddha), which is awakened in the aspirant, and as such, allows the student to then project their consciousness through the different psychic centers in increasing complexity and subtlety, until finally, the Crown is reached. In kabbalistic practices however, the centers are rarely used as such, but instead intense visualization of the etherial Worlds is used, until they are progressively realized, or rituals combined with more generalized energizing of the psychic body are used, alone or in conjunction with these visualized worlds. The modern variation of this often involves the use of Tarot cards, and is called Pathworking, or the use of Hebrew letters. Eastern Orthodox monks have used intense visualization on the solar plexus, as a small sun, as a method of achieving exteriorization, and some schools use the heart as a center of displacement, however, the previously mentioned methods are the most commonly used to date. Alchemists use tinctures, or medicines to assist in the projection of consciousness. Although, these should not be confused with hallucinogenic, or psycho-active drugs. The effects of alchemical medicines generally occur when their user is relaxed, sleeping, or in meditation. They in effect, assist the projection of consciousness, that is the expansion of awareness, rather than induce or cause it directly. It is possible to take an alchemical medicine and drive a car unimpeded. In the West, the Throat center is less well defined, although it shares in all of the above named characteristics. In Kabbalah of the Golden Dawn, Pat Zalewski states that the throat center is associated with the thyroid gland and controls respiration. As with yoga, each of the preceding centers is associated with an Element, starting with Earth, Water, Fire, and Air. While not stated, it might be presumed that the Throat center is then the first center to be associated with Spirit, or Quintessence, as in yoga. Here however, we run into a problem regarding the attributes associated with this area. In alchemy, the throat is ruled by Mercury, the god of Air, as well as magic, voice, and initiation. In the systems generally used (i.e. Golden Dawn), no planetary attribute is given to the throat. Instead, it is the sepherothic realm of Daath that presides over this region. Daath is Hebrew for ‘knowledge’ and maybe that is the best attribute for things associated with the mind, speech, and magic. However, for many kabbalists, Daath is a region better left alone, and feared more than the so-called Qlippoth, or Demonic realms. How did Daath come to be seen with such awe? Mostly from the second-hand reports of book learned occultists repeating what they read. Although, if we keep in mind that Daath is Knowledge, then some interesting correlations can be drawn. Regardie also refers to Daath as “The Link” between the Higher Self and the ego, or waking brain. Unfortunately, most of what is said regarding Daath, like the other spheres, is of a cosmological nature, and difficult to apply to our individual consciousness. The abstract ideas associated with it, coupled with vague warnings and trepidation are not directives on how to approach this sphere within our psyche (and very real psycho-spiritual, semi-physical center!) in a positive and growth oriented manner. Possibly what Knight is saying, on a personal level, is that the psycho-physical sphere associated with Daath allows for the highest awareness in human consciousness when it is progressively opened. When this occurs, many of the fears, obstructions, and psychological malfunctions that have previously plagued us, fall away under the intense awareness of our true power and presence as Beings becoming consciously Divine. In summary, maybe the fears are real, in that once we cross the Bridge of Knowledge, there is no turning back. Once we go from the theoretical to the experiential, we cannot return to ignorance. When innocence is lost, it is gone for good. Thus, we can cross the ‘bridge’ several times: from the material world to the psychic; from the psychic to the more abstract mental realms; and from the mental to the highly spiritual, from which none is said to have returned. Most of what is reported about Daath may be in relation to this last and highest reality. The function of this technique, is to assist those who desire it, to cross their personal psychic bridge from the visible into the invisible with consciousness and memory. Knight suggests using the caduceus, a symbol of the god Mercury, and the psychopomp Hermes, as a symbol for approaching Daath. This relationship of the Throat Center to Mercury must not be overlooked, for it is this very relationship that we are seeking to establish within ourselves. To be able to enter into the psychic realms with the aid and assistance of our Higher Genius, as well as our human intellect, and to make use of the information upon return to waking consciousness. We want, in effect, to do as Hermes does, “Walk Between Two Worlds” and unite them within our psyche. The symbols for Mercury is the stylized caduceus in the form of the combined symbols of Luna (Moon), Sol (Sun), and Terra (Earth). Combined they state the function of this part of our psychic anatomy. The upturned lunar symbol represents our brain, nervous system, and psychic functioning, resting upon the Solar symbol beneath. The Sun, is our spiritual powers, life force, and intuition. It sits astride the symbol for matter, or the equal armed cross. The Cross of the Four Elements is the symbol of material existence, and is at once our physical bodies as well as the material world we live in. In the symbol for Mercury, we see that the terrestrial energies, or matter, are dominated, by the Solar forces of the Sun, and Soul. However, these spiritual forces are in turn dominated by the intellect and physical brain of man. That is, the brain directs them, or represses them, depending on the spiritual health of the aspirant. It also illustrates a unique point. That is, the relationship between the heart, sun, brain, and spiritual awakening. As messenger of the gods, Mercury assists in the transfer of knowledge, and not in the creation or interpretation of that knowledge, these functions being left to the brain and psychic heart. The heart is the seat of intuition, the Voice of the Soul, and the Interior Master, only through its awakening can we become conscious and free beings. However, the energy of the awakened heart, with all of its love, must be transferred to the physical brain for insight and understanding. In doing so, it requires the assistance of the Throat center. Once in the brain, the energy must also be able to return to the heart, or send information there for spiritual consideration, via the Mercurial Center. Herein lies some confusion for some folks. It is said that the heart is the center of intuition, yet it is in the pituitary body of the physical brain that intuition is realized in mundane consciousness. Is it not possible to simply awaken the pituitary body without the needed functions of the psychic heart? The answer is yes. To understand this somewhat confusing relationship between the heart, pituitary gland, and our spiritual awakening, we need to realize that according to esoteric tradition both of these organs are Solar in nature, and as such effected by the material and spiritual Sun. Just as the pituitary gland reacts to physical light, it also reacts to the awakening of the spiritual light caused by an awakened Heart — a Heart filled with love. The brain in general is Lunar, but certain aspects of it respond to other planetary influences in their specific functions. This need to awaken both the heart and brain, is what is required for travels through the psychic realms. An awakened heart with no brain is subject to an extreme lack of practicality; and a brain with no heart can function psychically, but only in a cold and detached manner. The ‘thinking heart’ and ‘feeling brain’ are what Mercury help us to establish. In doing so, the polarity is overcome through union and the material and remaining psychic forces of our body are brought into play in a harmonious manner. The use of blues, and purples is said to show the relationship between Daath, and the ideas of a Higher Mind (Blue/Chesed) and Yesod (Purple). Thus, the Daath , or sphere of Knowledge that we are contacting through our meditations is our personal one, and not that of the transpersonal or Cosmic Daath on the Tree of Life, of which so many dangers have been written and attributed. Also, if Yesod, or the gateway and principle sphere of the astral realm is a reflection of Daath “on a lower arch” as our British fraters and sorors are so fond of saying, then meditations on the “Daath” sphere in ourselves should not only sublimate the sexual creative powers of Yesod, but also allow us to enter into astral consciousness more fully and completely. In Chinese and Mongolian Chi Kung, meditation on the throat center is used precisely for these purposes: (1) sublimation of the sexual force13), and (2) assisting in the conscious projection of consciousness and the induction of lucid dreaming. It is the connecting center between the heart and the brain. Conscious dreaming is used to awaken the “Seventy-Two Magical Abilities”, in order to prepare them for eventual transfer to the waking, material world. This is an interesting number, as it matches the number of permutations of the “Great Name” of God, or Shemhamphorasch. Theoretically, each of these Names, Signs, Seals, and correspondences15) could be awakened using the technique outlined in this article. As in India and Western techniques, the throat is associated with air, spirit energy, and consciousness in Taoist practices. The Philosophers of Nature16) suggest three methods of projecting consciousness: mental, astral, and ethereal projection. The first technique suggests using the Throat center for projection, and states that the dis-alignment of the physical and psychic bodies will occur at the level of the neck. It is this basic idea that the following experiment is based upon. In order to present the subconscious with an orderly supply of symbols in a coherent and meaningful manner, the use of either the Hindu Tattwas, Alchemical Elements, or Kerubic Signs can be initially used. Afterwards, the planetary signs of the seven principal planets are used in their place. This progressive use of the same symbols allows the subconscious to understand that these symbols are meaningful and are the official means of transferring consciousness from one level to another. If done repeatedly, the symbols will not be needed after a period of time, and if done with good heart and mind, one may potentially realize their ‘interior level’ during one of the dream states provoked. While full-scale astral projection may not immediately occur, the degree of lucid dreaming, dream memory, and even a limited increase in one’s ‘magical voice’ will be experienced. It is up to each aspirant to make the most of these ‘out-of-body’ dream states, and increase their level of intensity so as to realize full and controlled projection of consciousness. Unlike other methods of projection, through regular practice, the method outlined here will in most cases work gently and progressively, i.e. increased dreaming, then lucid dreaming, and finally astral projection, thus allowing for an acclimation of consciousness to these new states of being. Step One — Obtain a set of symbols for the Four Elements and Spirit, and the Seven Planetary Signs. Start with Earth, then progress to Water, Air, Fire, and Spirit as the days proceed. The basic procedure will not change, only the symbols used to attain projection. Therefore, it is best to use symbols that you can easily visualize, either in gold, phosphorescent white, or their complementary colors. Step Two — When going to sleep, or even just relaxing a few minutes, turn your attention to the area of your ‘Adam’s Apple’ and imagine a brilliant blue-black (or indigo/ultra-violet) sphere there, about the size of a tennis ball. Make it brilliant and translucent, as though it were illuminated from the inside, with its center point around the thyroid gland. It should be large enough to also touch the back of the nape of the neck, and if done very large (as Regardie suggests),17) it may even have its farthest edges at the bridge of the nose and brushing the thymus gland, or heart. What is important here, is that the image is three-dimensional, and not just as a flat plate in front of you. Thus, the sphere, or ball, will encompass your neck, and parts of your head. Your imagination is internally directed. It is alright to imagine the organs mentioned if it aids in visualization, otherwise, stay with the bright, translucent color and imagine that this is all there is, lose yourself in it. Place yourself in its center, look around at an infinity of singular color of slightly different shades and hues. Step Three — After achieving familiarity with the first step, and can enter into the indigo sphere at will, and be comfortable there, imagine your chosen symbol for Earth present with you. See it brilliant and before you, with the qualities of Earth present, that is heaviness, and density, and simply stay with the symbol for a while, or until you fall asleep. Do this one for five to seven days, then move on to the remaining symbols. After you have completed all of the Elements, including Spirit, then proceed on to the Planetary symbols. Step Four — With the planetary symbols you have several choices on how to approach. First, you can simply move through them, starting with Luna, and progressing up the Tree of Life. Second, you can start with Saturn and progress down. Third, you can simply alternate through them according to the ruling planet of the day. Since it is desirable to spend several cycles with each symbol, the Third method offers the easiest and least tedious way of working through them without worrying about breaking off in the middle somewhere and having to start that symbol over again. Note your experiences in your daily notebook and see what if any connections exist from week to week between the symbols of each planet. It is desirable to spend at least five to seven cycles with each planetary symbol, or between six and seven weeks working with them as you fall asleep. This, added to the previous four or five weeks working with the Elements, makes a total of ten to twelve weeks of nightly work. Upon rising in the morning, a minute or two can also be spent visualizing the symbol of that day as well, as long as you don’t fall back to sleep! Those wishing to supply information regarding their experiences to the ORA Project may do so by sending a copy of their notes after the completion of the exercise to: Mark Stavish, M.A., ORA Project, Philosophers of Nature, P.O. Box 2920, Wilkes-Barre, Pennsylvania 18703-2920. Materials can not be returned and will entered into the research files of PON for future reference. Please include a brief biographical sketch regarding your esoteric background, with particular emphasis on kabbalah, alchemy, and ritual magic, if applicable. ORA is the Occult Research and Application Project, and is designed to find new applications for existing Hermetic knowledge, as well as re-create and examine traditional knowledge and techniques for use in the contemporary world. Presentation by Jean Dubuis, at the 5th Annual Philosophers of Nature Conference, Colorado Springs, Co. May 20-24, 1996. For a very effective and simple approach to awakening the psychic centers see: Wisdom of the Mystic Masters by Joseph Weed. Kundalini, Evolution and Enlightenment, Edited by John White. Anchor Press, Doubleday, Garden City, New York. 1979. P. 83. The Sword and the Serpent vol. 2 of The Magical Philosophy by Melita Denning and Osborne Phillips. Llewellyn Publications, St. Paul, MN. 1988. P. 188 and 189. White. From The Restored New Testament by J.M. Pryse. P. 432. The Middle Pillar by Israel Regardie, Llewellyn Publications, St. Paul, MN. 1991. P. 113. A Practical Guide to Qabalistic Symbolism by Gareth Knight. Samuel Weiser, Inc., York Beach, Maine. 1978. P. 102. The thyroid is a secondary sexual organ. Awaken Healing Light of the Tao by Mantak & Maneewan Chia. Healing Tao Books, Huntington, New York. 1993. P. 223-34. See: Kabbalah of the Golden Dawn by Pat Zalewski, Llewellyn Publications, St. Paul, MN. 1993. P. 15-36 and p. 187-223. Qabalah Lesson Number 65, PON, Wheaton, Il. Copyright 1989. The True Art of Healing by Israel Regardie. Edited by Marc Allen. The New World Library, San Rafael, Ca. 1991. P. 32.